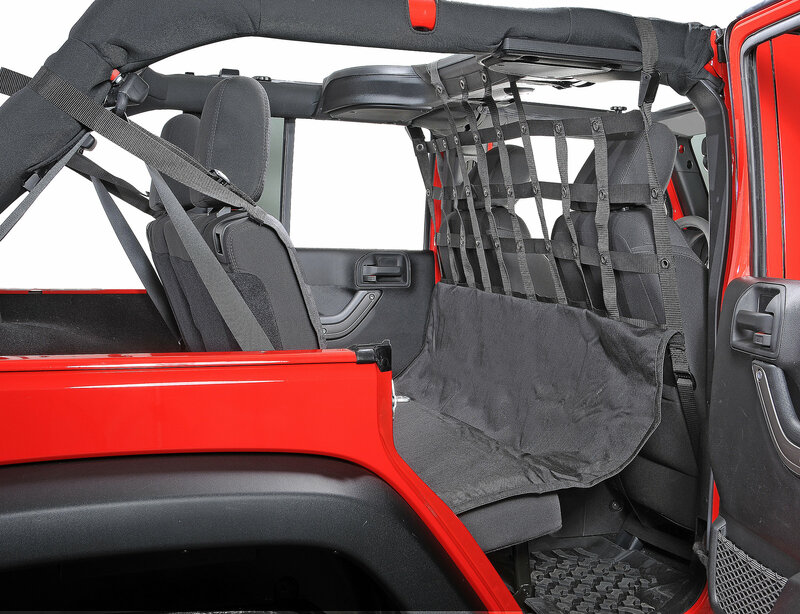 This is a great product for your dirty dog This is a combination front pet divider with a rear seat hammock to protect the rear seat. 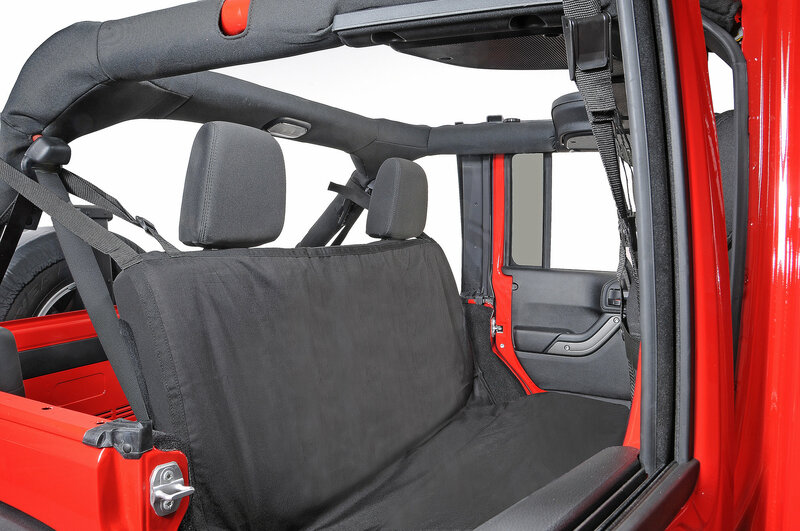 Fit the Unlimited model only. 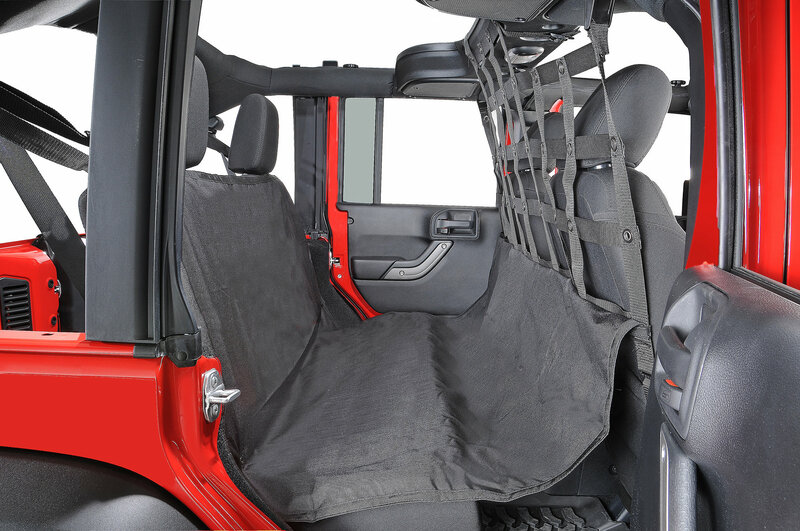 Can be used with the rear seats up or in the folded down position. This item is available in black only. This is a safety must. 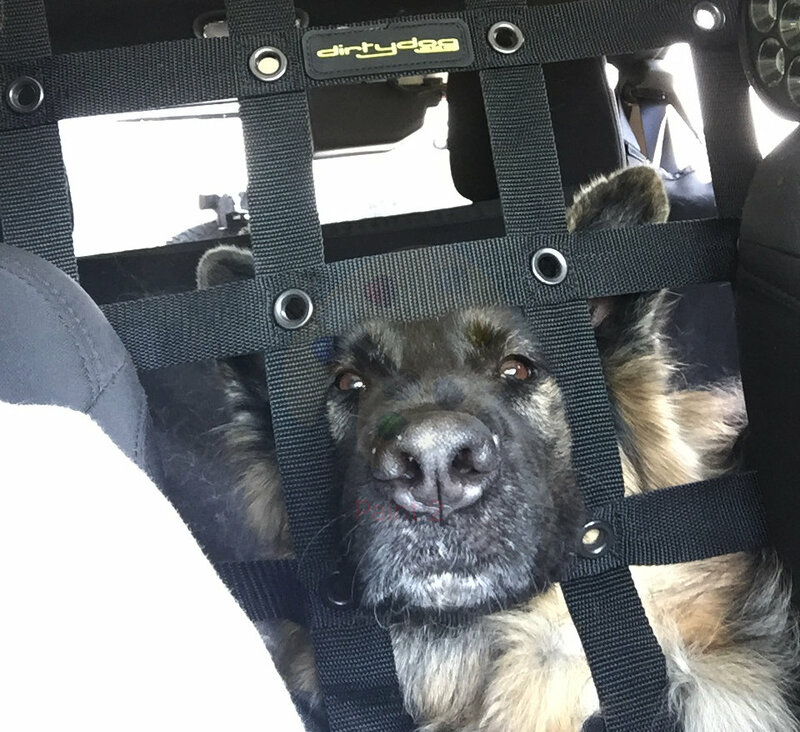 It keeps my 105lb German Shepherd out of the footwell and away from my snacks up front. Oh yeah it will keep her in back in case of an accident. Plus, the net gives me another place to hang stuff, like flashlights and cell phones.